Counsilman-Hunsaker, in association with Hart Freeland Roberts Architects, was commissioned by the City of Manchester to design a new natatorium that would provide a host of swim activities for the community, including a venue to train and hold local swim meets. 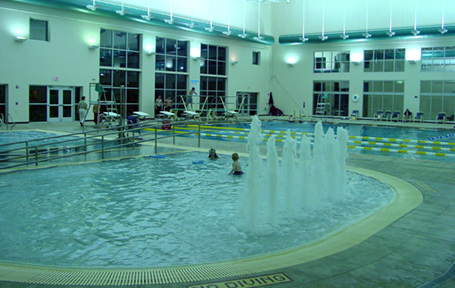 In addition, the pool would be a resource to other athletes and community members to use for low-impact cardio workouts. The aquatic complex embodies the community’s needs and objectives by combining leisure areas and fitness/competitive swimming programming spaces. The aquatic center has something for everyone to enjoy.